This form serves to submit your Mission statement as an organization for the purpose of staff recruitment. 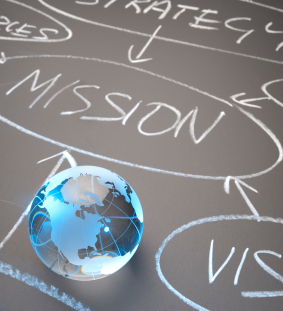 Rather than waiting for a vacancy or project that requires staffing YourMission serves to match missions of organizations and individuals. We will encourage high-potentials to follow your company. This will help you to have access to a permanent pool of experts. These experts will not only have expertise you need but also share your core values. Organizations may register using the form below. Be as specific as possible. A copy of the mission statement is a good start. URAIDE will also collect personal missions of individuals, either self-employed or currently employed with other organizations. URAIDE will recommend high-potentials to follow your organization and apply when vacancies appear. URAIDE does not provide recruitment and screening services for organizations. However, we do link to a number of highly qualified consultants in talent search that we could approach on your behalf, and include it in the package. Registration for this match-making service is free. You may register with YourMission using the form below. Within ten working days URAIDE will contact you to finalize your subscription. A successful match, with support from URAIDE, will cost your organization €250. The proceeds of this service will be reinvested in personal missions of high-potentials willing to serve vulnerable groups in society in the Netherlands or abroad. I confirm that the above represents the mission of the organization. I am authorized to act on behalf of my organization in doing business with URAIDE, and agree with the conditions of service of URAIDE. I won't be charged for any work done by URAIDE unless a successful match is made.